Bobby Cash grew up in Clement Town, Dehradun. An aunt of his, who lived in Nashville, Tennessee, regularly sent the latest country music releases of the time to Bobby's mother. This was the music he grew up listening to and which he loved so much that he taught himself to play the guitar and sing those songs.Because of the dearth of other country music style genre musicians, he developed his own guitar style that encompassed playing bass lines, rhythm, finger-picking and lead to give a unique sound.While in Dehradun, Bobby Cash gave music lessons and occasionally performed for the armed forces.It was only in 1995, after his father passed away, that he moved to New Delhi to pursue a career as a solo musical artist. Bobby Cash's career began performing in New Delhi, at the popular hot spot, Rodeo.While in New Delhi, he briefly dabbled in Indian pop music. In 1996, he recorded his first Indian pop album Yeh Pyaar Hai under the Magnasound (India) label with Indian pop director and producer, Jawahar Wattal. He is praised by media for being India's first international country music artist who has charted singles in Australia, and also for being the only Indian country music artist to be featured in a documentary film,The Indian Cowboy...One in a Billion, aired on ABC Television (Australia) in January 2004 and on Discovery channel in India in June 2004.He is known as "The Indian Cowboy, one in a billion" by media. Country Music is a music of pioneers, early settlers & cowboys who settlers the American West in 90s. It’s the music that come from roots and Rural music that tells a story. 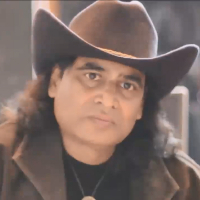 "I am an Indian country music singer, songwriter, guitarist and composer. I live in Dehradun City, I am India's first international country music artist who has charted singles in Australia, and also for being the only Indian country music artist to be featured in a documentary film,The Indian Cowboy...One in a Billion, aired on ABC Television (Australia) in January 2004 and on Discovery channel in India in June 2004."